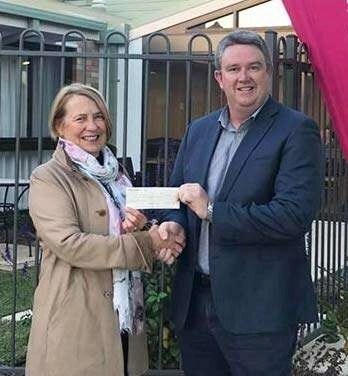 Last week Rotary Club of Hall member, Barbara Baikie, visited the new Forest Centre Hospice in Wagga Wagga to present a cheque of $3,250 on behalf of the club’s Community Committee, for the purchase of a special chair that converts into a bed. This chair will make it possible for family members to stay with their loved ones whilst they are in the palliative care unit. Hospice CEO, Evan Robertson, was delighted with the contribution and said it would greatly assist families to stay by the bedside of their dying loved one. This is a new palliative care hospice in Wagga. When purchased, the chair it will have a plaque on it recognising the contribution of the Rotary Club of Hall.